Electrical work is an exact science with little room for error, and uncertainty can lead to damaged equipment or serious injury. One essential tool for anyone working with live electrical circuits is an accurate voltmeter, such as the 4 Function Digital Multi-Meter from Sperry Instruments. The unit measures resistance and electric potential and has small voltage ranges for testing common household batteries. It also has a high-resistance 10 megohm impedance input, which ensures precise results. A Sperry voltmeter can help identify faulty wiring in your home. Connect each test lead (probe) to the proper input jack. The black cord is the common lead and must be inserted into the left jack, marked "COM." The red lead is the positive probe and should be installed in the right jack, marked "VΩ." Set the function dial to the desired measurement type. Clockwise from the off position, the functions are: resistance (indicated by the ohm symbol), direct current (DC) volts, alternating current (AC) volts (denoted by the "V~" symbol) and the household battery ranges. 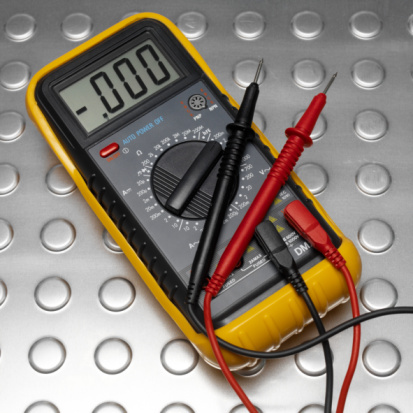 Select the proper voltage range for the circuit you're measuring. 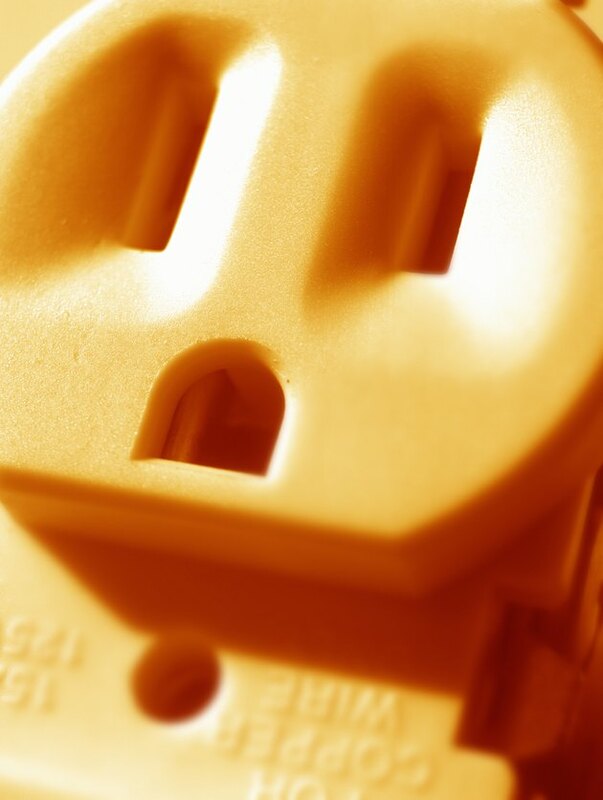 For example, if you're testing the AC voltage of a standard 120v wall outlet, set the dial to 200 volts. 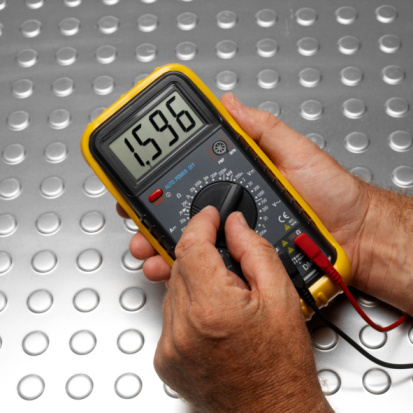 However if you're unsure of the source's voltage, start with the highest (least sensitive) value and work your way down until you receive a precise measurement. Touch the leads to the proper circuit poles to produce a digital reading. For AC voltage and resistance testing, polarity is not an issue and either orientation will work. For DC, however, you must touch the black lead to the negative DC source first, then touch the red lead to the positive "live" pole to safely create a closed circuit. The meter reads "-" if the poles are reversed. Before testing an unknown circuit, measure the DC voltage from a fresh 9-volt battery to ensure the meter is properly calibrated. William M. Tucker graduated from the George Washington University in 2011 with a B.A. in history. He conducted research and scholarly writing throughout his time at George Washington and Wesleyan University. As a science intern at the Center for Health, Environment and Justice, Tucker assisted grassroots environmental organizations by interpreting technical and epidemiological language.